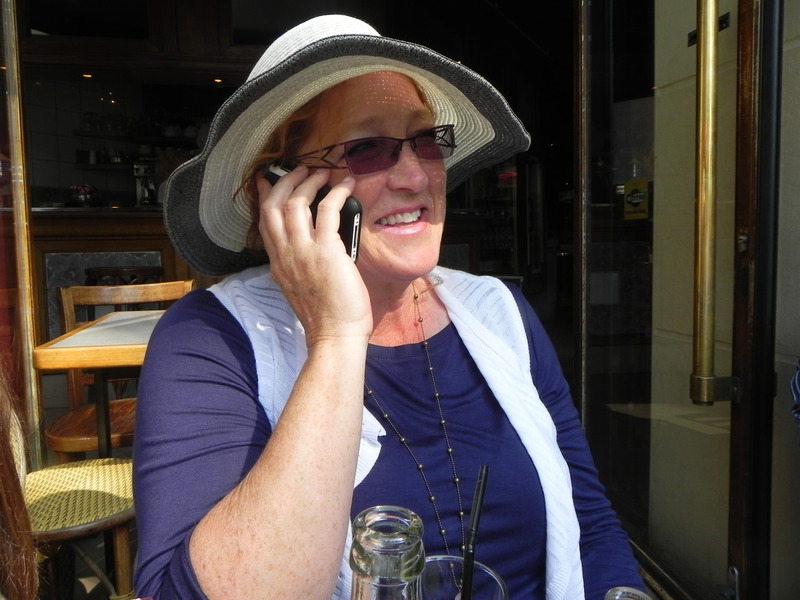 We had a real shopping day on Friday through the Marais and down the Ile St. Louis. 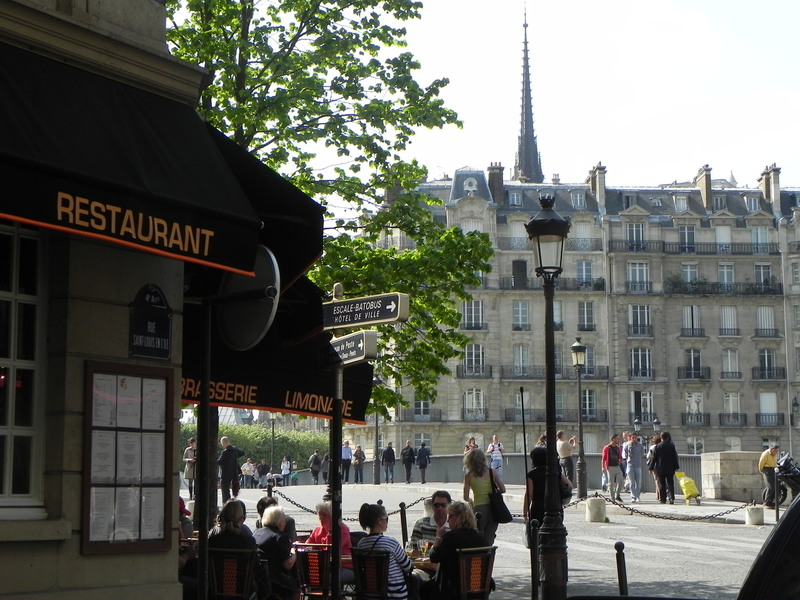 We recharged at this cafe with a fantastic view of the Ile de la Cite. Introducing Associate ET Melinda! Admire her new French hat! She's on the phone to her mother, Nurse, reporting on her purchase. The ETs all agree - hats are a *sensible* way to invest found money! This entry was posted on April 10, 2011 at 3:53 am and is filed under Paris Cafes, Paris Shopping. You can follow any responses to this entry through the RSS 2.0 feed. You can leave a response, or trackback from your own site.